Straub Landscape - Providing landscaping, lawn-mowing and maintenance, garden and water feature design to Corvallis, Philomath and Albany in the Mid Willamette Valley. Facebook - Visit our Facebook page and "Like" us! 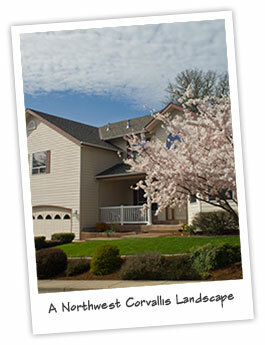 Oregon Landscape Contractors Board - Landscape contractor licensing. O.S.U. Extension - An excellant resource for maintaining a healthy yard, garden and home. O.S.U. Plant Identification - Plant pictures and descriptions. Oregon Dept of Agriculture - Pesticide applicator licensing. Pacific Stonescape - A local vendor who supplies us with many of our natural stone and water feature products.